A startup to improve the craft beer discovery experience. 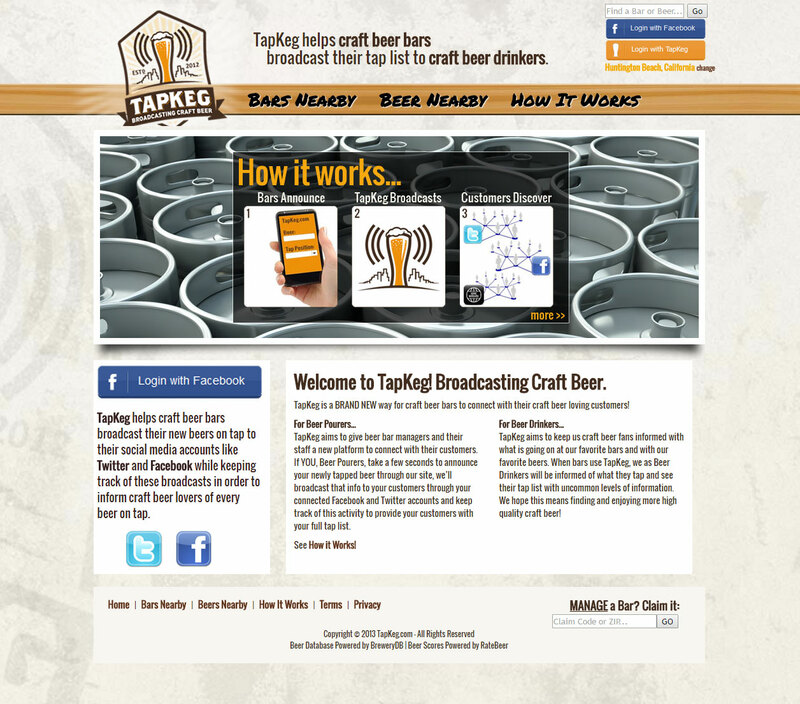 The TapKeg project was of my own creation back around the 2011/2012 time-frame when I felt there was a significant need to improve the standard workflow of craft beer bars with frequently rotating tap lists that were tweeting out new tap offerings to their social media audiences on a regular basis. By interjecting a new interface to handle the new beer selection and tap number being used, the system could track exactly which beers were on tap at any given time and broadcast the new beer information out through the bar’s social media accounts – all by simply using our platform to do what they were already doing directly through Twitter and Facebook. 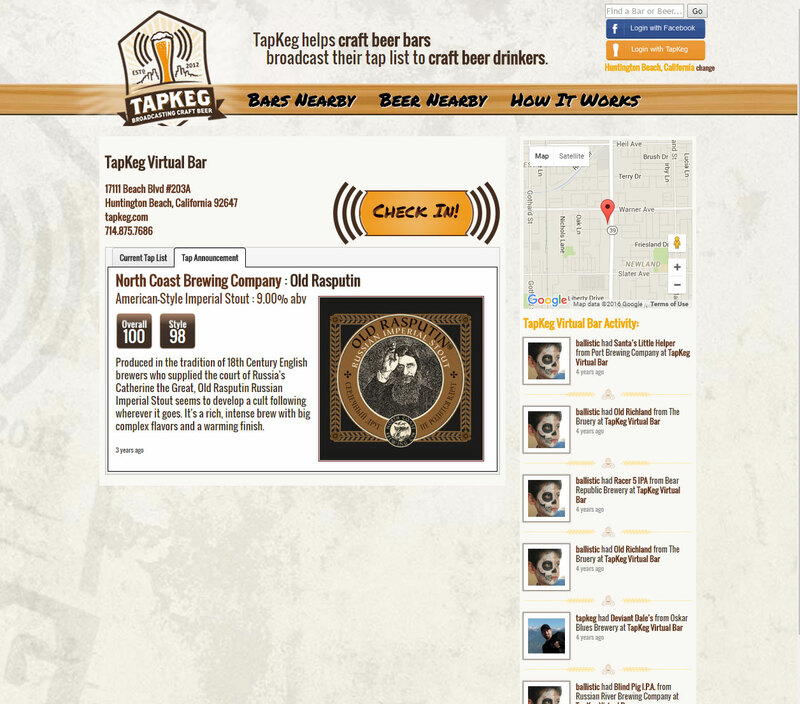 The beneficial side effects would be data that could then be displayed on the TapKeg website, integrated with the bars’ websites, and provided to patrons via mobile apps. Home Page: I oversaw logo design and was personally responsible for the website design, which strives to use a nice mixture of colors, textures, and background images. I also architected all aspects of the system and oversaw programming and development. Bar Page: The Bar Page contained the bar’s name, contact info, and location with interactive Google Map integration. 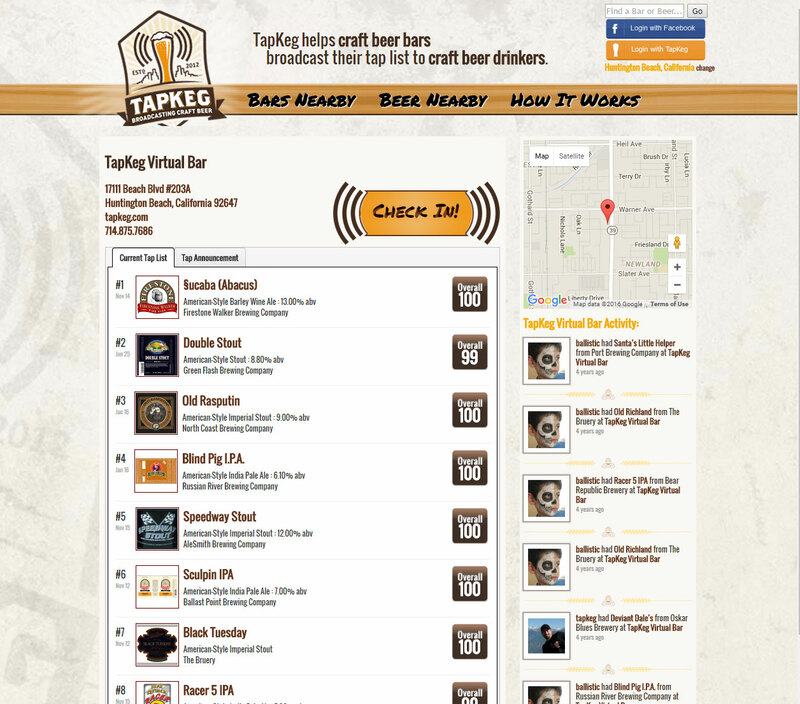 In addition, the collection of tap announcements built up a virtual tap list of all beers on tap at any given time along with detailed beer information from various beer databases. An activity feed of “check-in” style actions was shown along the right edge. Beer Page: The Beer Page provided even more details about the chosen beer including a full description and some additional rating info. When reached from a Bar Page, the page stayed specific to that bar; however, when reached through other means the page also showed any nearby bars that had the beer on tap.